WEBSF member Mark Green could not play in the WEBSF tournaments this season due to pursuing his education at Cardiff University. However, once a snooker player always a snooker player and Mark has excelled in the British Universities and Colleges Sport championships. These were held in Leeds last month and the good news is that Mark is the British Universities and Colleges Sport individual snooker champion 2011. Furthermore, the Cardiff team won the team competition. It is the first time that someone from Cardiff has won the individual title. So Mark has two gold medals. To add to this Mark reached the semi finals of the EASB Under 19s championships. This is a significant achievement considering the situation that Mark is having to fit in snooker practice around university studies. The Sports Bursary that he was awarded has proved very useful and the Director of Cardiff Sport is very impressed with how Mark has represented the University. To top this Mark was voted on as President of the University Snooker Club for next year. Well done Mark! Click here for more information. David Causier, the British Open billiards champion and 3-time former UK champion, produced a superb display of English Billiards in a Plymouth exhibition on Wednesday April 20. Causier’s first opponent was local player Chris Corry, however, it wasn’t until his encounter with experienced player Derek Walker that the former world number three started to reach top form with terrific breaks of 185 and 163, plus another fine century against England international Chris Coumbe. The final local opponent was WEBSF Gold Waistcoat player Steve Brookshaw, one of Devon’s finest and himself capable of 200 breaks. Against Brookshaw, Causier compiled the highest break, a fantastic 311. Causier, a finalist in the 2004 World Professional Championship, knocked in further breaks with ease during the evening, including a 209, 180, 136, 117, 72, 65 and 64 to round-off an outstanding performance by one of the World’s finest professional players. The event was organised by the Plymouth Billiards League and was held at the Belgrave Club. Thanks also to Plymouth referees Steve Brookshaw and Chris Coumbe, who refereed on the night. 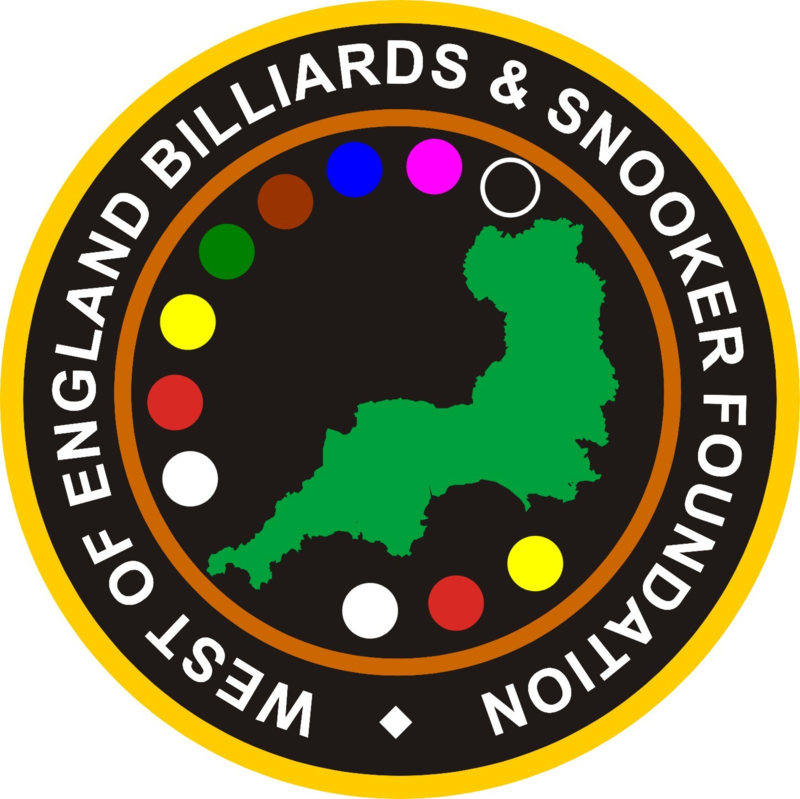 Chris Coumbe won the English Amateur Billiards Association Junior Billiards Event 4 hosted by the WEBSF and Rileys Snooker Club, Plymouth. Runner-up was previous winner Dan Legassick. Alan Tunney from the Torbay league was not phased by a magnificent 132 clearance from Sam Baird in the final of the latest Gold Waistcoat event. Full details now in. Thanks to Rileys Snooker Club, Plymouth and Baulkline Snooker who sponsored the event. This time 96% of the entry fees went as prize money! Wonderers are champions for the eigth year in succession with Colyton Excons finishing runners-up. This was repeated in the Mini League final with Wonderers winning the first three frames in the final. Click here for league results and the latest cup draw information. Wonderers on 99 points are all but there and unlikely to be caught. However, it is really hotting up for the runners-up spot. Click here for league results and the latest cup draw information.